Cathy Dodge Smith, Ed. D - ADD, Dyslexia & Autism Associates Inc.
Cathy Dodge Smith, Ed. 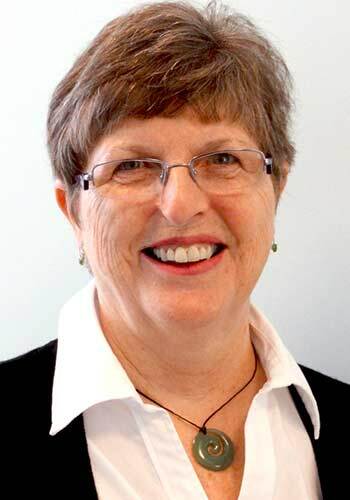 D.
Cathy, founding president of the Davis Dyslexia and Autism Facilitators’ Association of Canada, is a recipient of the Canada Volunteer Award Certificate of Honour and the Canada 125 Award. She is a former president of the Learning Disabilities Association of Canada, and author of several published books and articles about learning disabilities including Parents in Partnership, For You: Adults with Learning Disabilities, and Toward Productive Living. These books are available from the Learning Disabilities Association of Canada. I began my career as a teacher. When I was teaching, it was always the children with learning disabilities who fascinated me. I could see the intelligence shining in their eyes, and yet, they were placed in my class labelled as “non-performers”. In those days we had no professional label for them, and little understanding of why they weren’t learning to read and write. Little did I know that this was preparation for my life’s work. After taking several years out to stay at home with my children, one of whom turned out to have learning disabilities attention deficit/hyperactivity disorder, and autism, I returned to work with children and adults with learning disabilities, also completing a master’s degree in vocational guidance with a specialty in learning disabilities. In 1989 I went to college as a department head, still working with students with special needs. I then decided to carry on with my own formal education, and returned to university to obtain a doctorate in psychology. When I completed those years of study, I decided that I had had enough of formal education. Then someone asked me if I had read “The Gift of Dyslexia” by Ronald Davis. I was intrigued, so immediately found and read the book. I was amazed. He explained things I had observed all my life, written about and given speeches about…but never REALLY understood. For the first time, I learned why children can read words like birthday, dinosaur, and crocodile, but make mistakes when reading or writing words like from, the, their, and after. I had to try his methods. At the time, I had a successful private practice as a psychoeducational consultant, and began to introduce his methods into my work with children and adults with learning disabilities. The results were so exciting that I knew I had to learn more. So, back to study I went again, and became a Davis Dyslexia Program Facilitator. It is extremely, deeply satisfying to be able to offer this kind of service to people. Perhaps it is more meaningful to me, because for most of my career I have been teaching coping strategies, and advocating for accommodations at school and in the workplace. Now I can help people correct their dyslexia so they no longer need those compensatory strategies. Instead of giving people fish, I am teaching them how to fish. I watched and waited impatiently as Ronald Davis continued his pioneering work by figuring out how to use his powerful methods to help autistic individuals. Just as I was highly motivated by seeking answers for my son, I was equally motivated to be able to help my autistic grandson. Imagine how thrilled I was to be invited to join Ron Davis and a small group of Davis facilitators to work on the development of the final segment of the Davis Autism Approach Program. I feel honoured to have been able to participate in the project, and now, as a licensed Davis Autism Approach facilitator/coach, to experience the joys its implementation brings to autistic individuals and their families. In 2013 I became certified as a Traumatic Incident Reduction Facilitator, and in that capacity I am privileged to help people deal with PTSD, stress, depression, anxiety, or simply to develop more effective ways of living life fully. The Davis programs described on this site and TIR stress reduction sevices described at www.stressreductionwithcathy are separate and distinct programs which are provided in their own distinct contexts on separate schedules.